Melissa graduated with a BSc (Hons) Environmental degree in 2001 from the University of Wales. 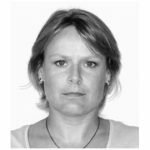 She joined Casella Stanger as a graduate noise consultant and gained experience in acoustics both environmental and occupational, in particular relating to construction and demolition noise associated with Canary Wharf in London. Installation and overseeing of long-term DEFRA noise mapping stations within London, vibration assessments, PPG24 assessment, BS4142 assessments and the coordination of noise at work workshops. 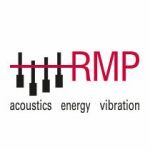 Melissa joined RMP in 2005 and completed the Institute of Acoustics Post Graduate Diploma in Acoustics and Noise Control. She has since undertaken a wide variety of projects including residential sound insulation problems, noise at work assessments, PAN 56 assessments for road, rail and aircraft, industrial noise assessments and acoustic design advice for offices, schools and hotel developments. Melissa is a member of the Institute of Acoustics, an Associate Member of the British Society of Audiology, an Association of Noise Consultants (ANC) registered sound insulation tester and a BSA certified Audiometrician. Melissa is currently principal consultant within our Welsh office.